Casio announced four new slimline Pro Trek watches for a February 2017 release in Asia. 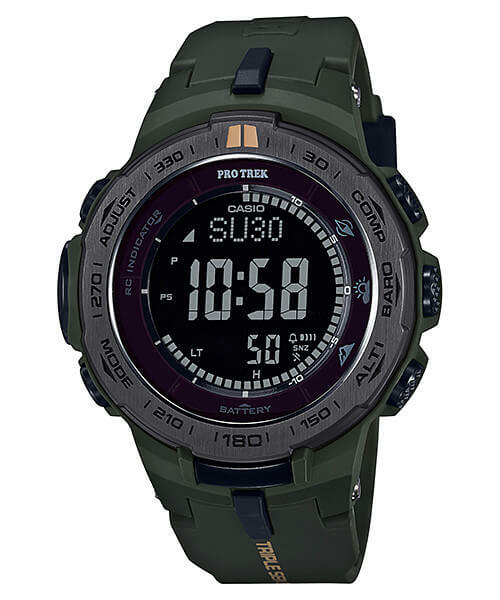 The basic black PRG-300-1B (left) and khaki PRG-300-3 (second from left) feature Tough Solar power and the Triple Sensor Version 3 with altimeter/barometer, compass, and thermometer. 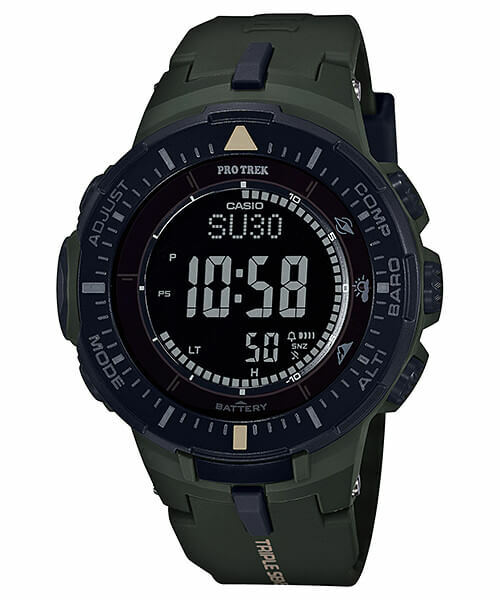 The basic black PRW-3100Y-1B (second from right) and khaki PRW-3100Y-3 (right) feature Tough Solar, Multi-Band 6 timekeeping, Triple Sensor Version 3, stainless steel ion plated bezel, and high-visibility STN LCD display. Other features for all models include 100-meter water resistance, full auto LED light with afterglow, low-temperature resistance, world time, sunrise/sunset data, stopwatch, countdown timer, 5 daily alarms with 1 snooze alarm, battery level indicator, power saving mode, and 12/24 hour format. Casio Japan also has the PRW-3100Y-1BJF listed for a February release with a list price of ¥42,000 JPY. 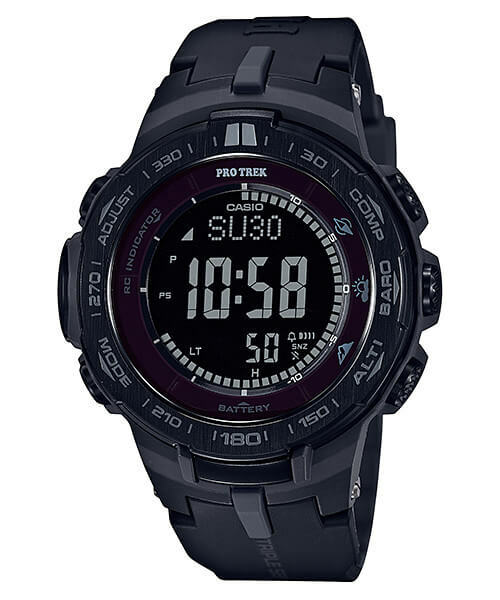 The PRG-300 and PRW-3100 base models are notable for being the slimmest Pro Trek watches at 12.6mm and 12mm respectively. The PRG-300-1B and PRG-300-3 are likely to get a U.S. release. No PRW-3100 models have been released in the U.S. yet, although the PRW-3000 series (without stainless steel bezel and STN LCD) is available. Update: In an unexpected turn of events, Casio America is releasing the PRW-3100Y-1B (listed as the PRW3100Y-1 in the U.S.) and the PRW3100Y-3 with a list price of $320 each. These are the first PRW-3100 watches to be released in the U.S.
Do you have any idea when Casio will release the prw3100y-1 again? It was available earlier this year and no longer. I do not want the -3 green model but am dying for a black one. Maybe the 1B? I want a black prw3100 but don’t want to pay Japan prices. Help! Maybe they will restock at some point? I guess anything is possible but I wouldn’t hold my breath. You’ve inspired me to write a post about this.